The Tiny Skillet: Greek Orzo Pasta ~ Tailgating Time! Greek Orzo Pasta ~ Tailgating Time! 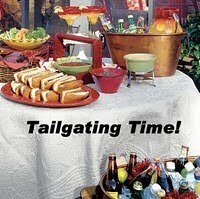 It's week #4 for our Tailgating Time! Come on and join the fun! We have lots of recipes and ideas for all you football fans! Even if we can't tailgate at the stadium we'll have fun right here, join us! Bring over your party dish, special chili or wings, salads, dips or pitcher filled with a punch! I originally got the idea for this from a pasta salad I got from a deli area in a local health food store. All I had was a list of ingredients, but I liked it because it had lemon juice instead of vinegar. It was a really nice pasta salad so I added a few other ingredients and tweaked it a bit the way I liked it. I do make a similar salad using Quinoa I sometimes add tomatoes to that. So feel free to do the same thing add what you like. It's nice for a light lunch or a side dish. The seasonings as always are adjustable to your liking, sometimes I will add a few more depending on my mood, but it is easy enough to work with. 1/4 C Greek Olive Oil (you don't have to use Greek olive oil, but you should try it. it's great). Set cooked orzo aside and let it cool some. In another bowl whisk olive oil, lemon juice and herbs. Toss with remaining ingredients, end with salt and pepper. Let cool in refrigerator for about 2 hours. Tailgating Time will be posted every Sunday at noon and open all week until noon the following Saturday for you to add your football favorites. We'll play each and every week until Superbowl Sunday. Hey Lyndsey, I'm making something similar to this tonight. I'm not sure I even knew there was Greek olive oil, lol. I never knew how much I didn't know until I started blogging! Thanks for hosting! Yummy Lyndsey! I love this recipe and will definitely be making it for the football buffet soon with plenty leftover for lunches! Mmmmm, this orzo dish looks wonderful. Great post! Hubby is going to love you for this recipe! He loves Greek! I don't tailgate, but I do sit around on my comfy couch, watching football! I love Greek dishes! Orzo is the best! I love greek salad! I know I'll love it with Orzo! Every dish featured here looks delicious and simple to put together:) I don't think I can get orzo here, such a pity! I would love to try that! This is something I will have to try...Think I might add some sun dried tomatoes. Ooooooh I LOVE pasta, and that one looks absolutely delicious! They all look pretty tasty Lyndsey ! Lyndsey, what a great salad! I love the combo of ingredients you have in it. A friend of mine made her dish similar to yours, except that she added grilled chicken breast to it. Yours sounds the best to me! I love orzo, mostly in soups...what a great idea to make a salad with it!! Especially with feta! I have yet to use orzo! Seriously! This salad looks wonderful though, thanks! I love orzo! This sounds like a wonderful, healthy dish! Kitchen Butterfly - oh you must! Kris - yes it is! Love it! peachkins - I am sure you would love it! Chow and Chatter - yes, love feta too! Pam -thanks so mush that is really nice of you to say. Chef Dennis - I enjoy it in salads, I have been looking for the tri-color orzo, but no luck. Emily Z - you can make it as healthy as you want! Great simple dish Lyndsey! Also the great selections of dishes there! Gosh, I almost forgot about this! Oh yes, I'm entering right now. Please wait for me!